You can add your chatbot on your website to automate communications with your visitors. Aimylogic provides a customisable chat widget for that. Click on "Chat Widget" button in the Channels menu of Aimylogic. A settings window appears. Here you can customise appearance of your chat widget. Once you are finished click on Connect button. 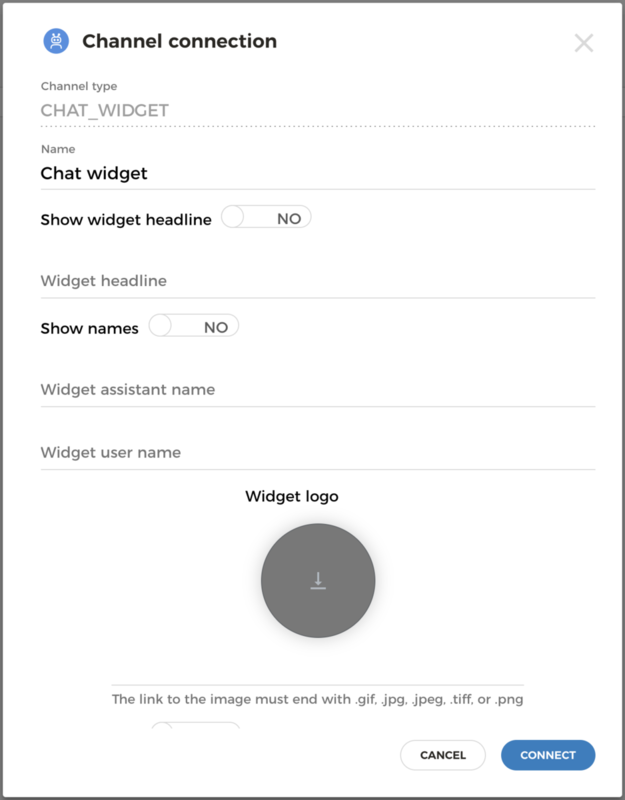 To pass parameters just place an initialisation script before the line with chat widget&apos;s link. In the example above we passed two parameters - id and name. It will appear in the bot&apos;s scenario in the variable named $start. You can overwrite some CSS of the chat widget on your website. There is a list of components you can change to tune widget&apos;s look-and-feel.